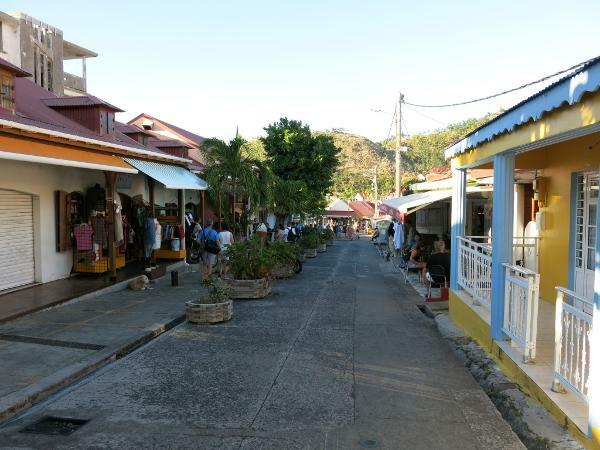 The largest town in Les Saintes and the main ferry port bringing daily tourists from mainland Guadeloupe. 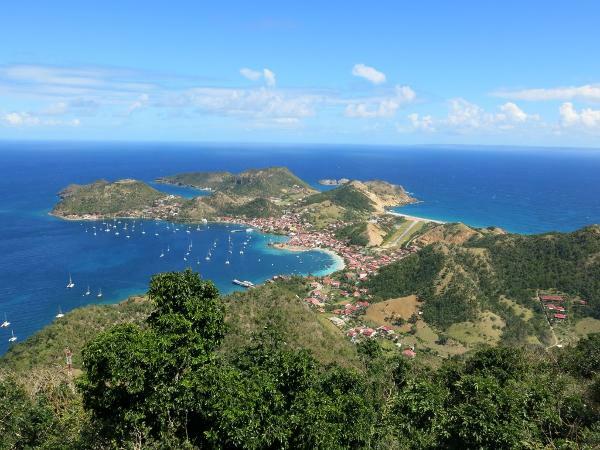 The whole harbor is a mooring field administered by Les Saintes Multiservices (LMS). A few boats anchor way outside the yellow buoys which is basically outside the harbor. The moorings have decent protection in prevailing winds. Expect swell and ferry wash. 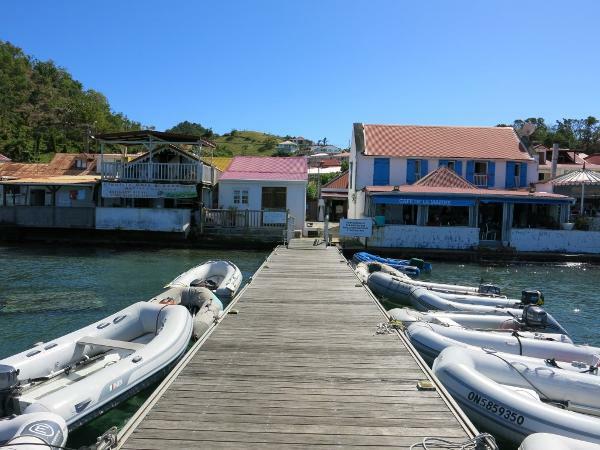 There is a nice dinghy dock, a tourist office, plenty of gift shops, restaurants, internet cafe's and ice cream shops. You can complete clearance on the computers at LMS which is just down from the tourist office. The process is simple. Cute little town with a good vibe. You can walk up Le Chameau, the highest point on the island and there are other walks too to beaches and viewpoints.